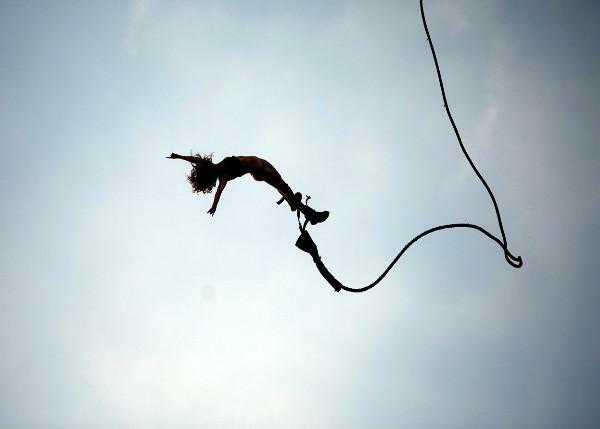 KATHMANDU,Sep 07 : A feasibility study is underway here to surf through the possibilities for the adventure sport of bungee jumping near the Balkhu river. The Kirtipur municipality is the mastermind behind the plan to set up the adventure sport to promote tourism. A Detailed Project Report (DPR) will be prepared for setting up a tunnel and other necessary infrastructure on a hill located at the border of Kirtipur and Tinthan. A feasibility study held earlier had shown that the area located at Kirtipur municipality – 2 is suitable geographically for bungee jumping. The municipal office aims to develop the location as a tourist hotspot and draw in foreign and domestic tourists. Kirtipur's Mayor, Ramesh Maharjan, said the municipality has allocated Rs 10 million for the development of necessary infrastructure for promoting the adventure sport. The actual cost estimate will be made once the DPR is prepared. The municipality's adventurous venture will also create employment opportunities for the locals of the area.